← Is W Sitting Bad for Kids? Maybe it started with you telling them it’s bedtime or that they couldn’t have the candy they picked up at the grocery store. Now your child is screaming and crying in protest. No matter what triggers them, no one enjoys temper tantrums. 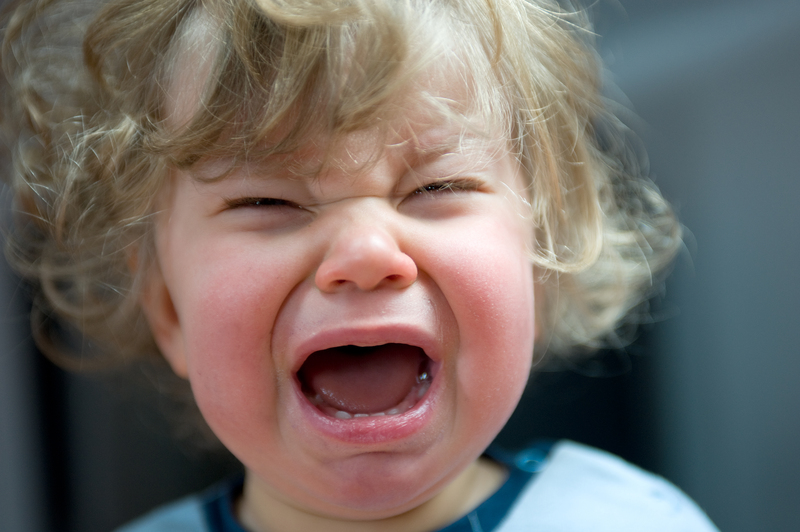 However, for young kids, these outbursts are a normal part of growing up, according to KidsHealth. Typically, kids between the ages of 1 and 3 will have tantrums because they don’t know a better way to express that they’re frustrated, hungry, tired, or upset for a number of other reasons. Usually, as children gain language skills and figure out how to better communicate their needs and feelings, they’ll have fewer tantrums, KidsHealth states. In the meantime, if your child is currently going through the “terrible twos,” here are some tips for dealing with temper tantrums. 1. Try to understand why your child has tantrums. Young children can have outbursts for various reasons, depending on the individual child and the situation they’re in, according to the Child Mind Institute. Generally, though, it helps to remember that tantrums are expressions of feelings that children can’t articulate in a more mature way yet. It’s possible to observe when and why your child has tantrums and pinpoint what triggers them. For instance, maybe they tend to break down when they’re hungry or when it’s time to go to bed. Knowing why tantrums happen is the first step toward addressing them effectively and preventing them. In some cases, children might have tantrums due to a larger problem such as a learning disorder, social anxiety, or another issue that necessitates professional attention, according to the Child Mind Institute. A healthcare professional can help identify and treat the underlying cause in those cases. 2. Don’t feed tantrums by giving in if your child is doing it to get their way. Depending on why your child is melting down, you should address the tantrum differently. For instance, if a kid is hungry, getting them a snack will help. If they’re experiencing sensory overload due to a specific situation (e.g., a bright and crowded shopping mall), taking them somewhere less overwhelming will likely calm them down. On the other hand, if your child is throwing a fit to get attention or to get a particular toy (or something else they want), don’t give in, WebMD advises. Although giving screaming kids what they want is the fastest and easiest way to calm them in the long term, that only teaches them that a tantrum is an effective tool to get their way. 3. Don’t respond angrily. Responding to your child’s wailing by raising your voice and getting worked up yourself will only make things worse. Instead, take a deep breath and calmly tell your child you aren’t going to give them what they want, if they are melting down to get their way, WebMD recommends. If that doesn’t work, children should be put in a time-out until they stop having a tantrum. 4. On the other hand, provide plenty of positive reinforcement. One way to avoid tantrums is to reward your child for good behavior. For example, tell your child they can watch a video they like if they sit quietly through a meal at a restaurant, according to Parents.com. Providing an incentive for proper behavior can stop tantrums before they start. 5. Work to prevent tantrums by avoiding triggers. For kids who consistently have meltdowns due to certain circumstances, it can help to either avoid those situations if possible or work to make them more bearable. For example, if a child tends to tantrum due to boredom during long car rides, you can bring along toys or games to keep them entertained. If hunger is an issue, be sure to carry healthy snacks with you. If you have trouble taming your child’s tantrums and if those outbursts are unusually long and severe, pediatric behavior therapy can help. Our pediatric professionals can define, analyze, and apply interventions to address behaviors that get in the way of communicating, learning, and socializing. For more information about our pediatric therapy services, connect with us today by calling 847-707-6744 or emailing info@littlestepspt.com.